The Cave of Secrets sounds very interesting. 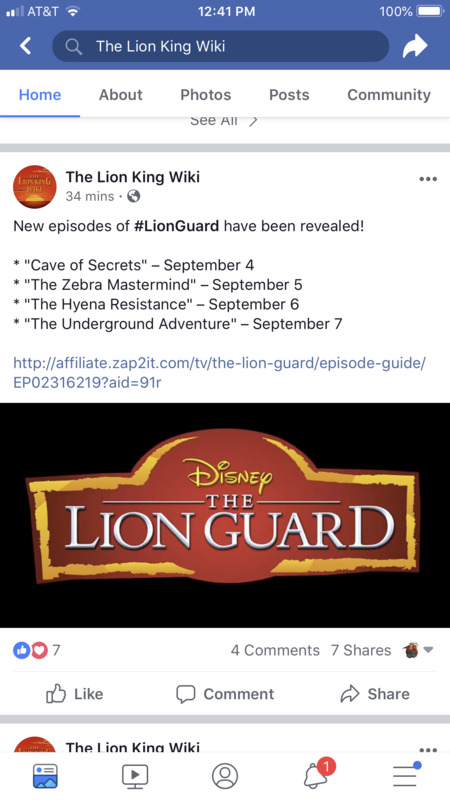 The Hyena Resistance: We will finally see this episode That picture of Kion and Jasiri is going to make Kion/Jasiri shippers ecstatic. The Underground Adventure: this will be a season 2 episode and we will find out which Female "Main Character" gets trapped underground. 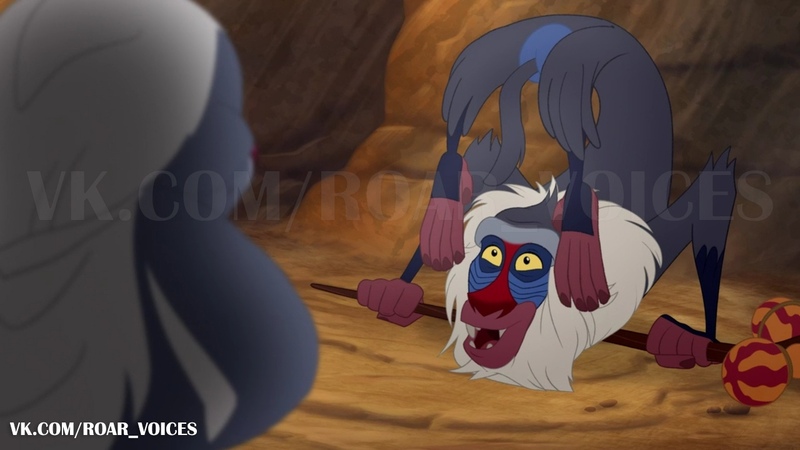 i am curious .. the hyena ep might enlighten us about the backstory of Jasiri who apparently has her own clan now? thats a nice turn of events. i keep in mind watching the episodes! Since this is basically how the whole season has been aired I'm not too surprised they're keeping it since only 2 more marathons are required to complete the season. However they seriously need to get rid of this format for season 3, a 28 episode season shouldn't take like a year to finish it's broadcast and a show shouldn't have a six week to 2 month break at the least after every week with new material. A season shouldn't have this many hiatuses. Hatari05 wrote: Since this is basically how the whole season has been aired I'm not too surprised they're keeping it since only 2 more marathons are required to complete the season. However they seriously need to get rid of this format for season 3, a 28 episode season shouldn't take like a year to finish it's broadcast and a show shouldn't have a six week to 2 month break at the least after every week with new material. A season shouldn't have this many hiatuses. You are absolutely right Hatari05. I honestly do not understand Disney's line of thinking. It has been said by many others that the current airing format (Is that the right terminology?) is unlikely to gain the show any new viewers. From what little we have heard it would seem that Season 3 is going to be very big at least in terms of the scope of the stories they want to tell. If they plan to give Season 3 a big push promotion-wise, sneaking most of Season 2 under The Radar like this really seems like a horrible set-up for said push That is assuming that they even do a big push for Season 3. Well with having to wait two months longer for new episodes this time around. I hope Disney at least took the time to make some new promos. (I know I am asking a lot) If not I will know that Disney truly does not care for this show If that turns out to be the case I just have to be grateful that the show's creators care about it. The fact that they don't want a big push is a possibility. Disney treats Lion Guard a lot like Nick treated legend of Korra. That was a show where Nick constantly made decisions that didn't make sense like airing the season finale online a week before it airs. Releasing season 3 with almost no marketing and constantly changing the time slot, eventually it was changed to online in the middle of the seasons broadcast. After all this the final season was aired like 2 months later with nothing to really hype it up. Nick treated Korra just weird as their choices obviously weren't helping it's ratings. Lion Guard seems quite similar episodes air once every 2 months across a week, there is minimum promotion and they speed through 4 episodes a week not allowing one to sink in or gain traction and go on break after new string of episodes. It's a terrible way to gain viewers if season 3 is the final shouldn't they be promoting it? We're nearing the end of season 2 and we got nothing on the finale or if it's even a multi episode arc. Disney doesn't really seem to care about the show and almost seems eager to get rid of it. Hatari05 wrote: The fact that they don't want a big push is a possibility. Disney treats Lion Guard a lot like Nick treated legend of Korra. That was a show where Nick constantly made decisions that didn't make sense like airing the season finale online a week before it airs. Releasing season 3 with almost no marketing and constantly changing the time slot, eventually it was changed to online in the middle of the seasons broadcast. After all this the final season was aired like 2 months later with nothing to really hype it up. Nick treated Korra just weird as their choices obviously weren't helping it's ratings. That is an absolute crying shame (I'm not kidding, I nearly feel bad enough to cry). I know all businesses are out to make money, but if Disney executives would actually watch the show instead of just look at the ratings. They might see the quality program that they are kicking to the curb. 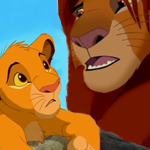 The scary part about this is if Disney no longer cares for The Lion Guard, my dreams of a post Lion King 2 movie happening are likely going to die as well. I can't believe Disney is treating something spun from one of their most successful and beloved franchises like this. I hope that when the series has run it's course, Disney will at least release the complete series (In proper chronological order) on DVD. I won't hold my breath waiting though. Believe me I can relate I find myself constantly trying to stick up for things and explain their inherit quality only to have a box office or Rotten Tomato score thrown at me I don't like things being judged based on a simple number I find it lacking in emotion and passion and it's why I post the kind of stuff I do like my gorge analysis because there's almost always a deeper beauty one didn't see and it is waiting to be found. As for a post LK 2 I think that will hinge on the remake as if it's successful a LK 2 remake will likely happen which could result in a post LK 2 story that ties in with LG, after all audiences love big crossovers. With a lot of LK stuff still on the horizon I wouldn't necessarily count a post LK 2 story out just yet. Regarding a complete series box set I wouldn't be too concerned about that, as releasing a series box set around the time of the remake or a bit after maybe before it's home media release would be a good marketing move and guarantee sales as people who never saw the original will see the remake only to discover there are a lot more stories in this franchise. I think a complete box set will be released sometime next year to tie into something with the remake.